The Range recently opened a branch in Grimsby and I couldn't wait to go and check it out. I didn't go before Christmas because I knew I couldn't resist buying things for myself, so we finally went and yeah... I couldn't resist! 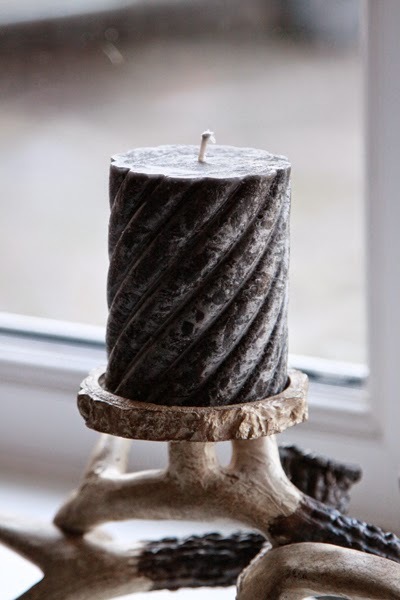 We were in need of some church candles for our new antler candle holder and these sort of, distressed black candles were perfect for it. These were £2.49 each. 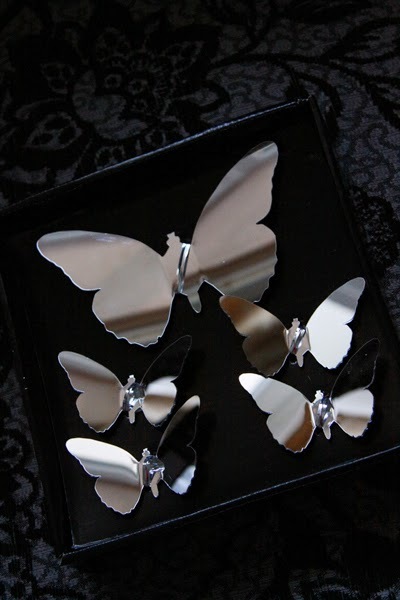 These are little mirrored wall stickers! I love butterflies and couldn't resist. At £1.59 for a pack, I bought two and plan to make a feature of them somewhere in the house, I'm just not sure where yet. I love having dried flowers and vases out, and this sort of... circular arrangement was perfect for the front room. 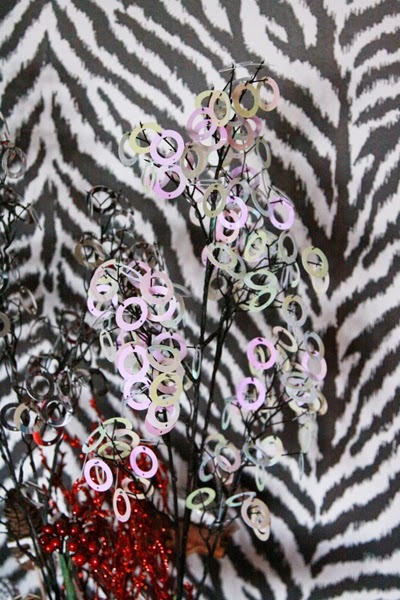 We got this in the holographic style, and a black and silver mix at only £1.99 each. They add some much needed height to the arrangement we had. 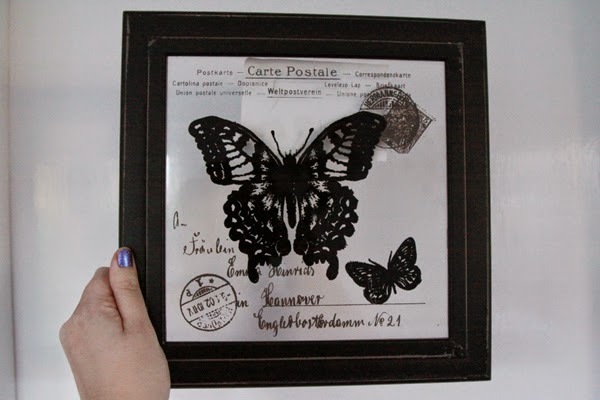 This is a butterfly design printed onto glass and framed. It is so lovely, and was a bargain at £3.43. I'm planning on hanging it on a plain white wall to really make the print on it pop. I love making sauces from scratch and cooking, and get through herbs quite quickly, so these giant herb bottles are fab! 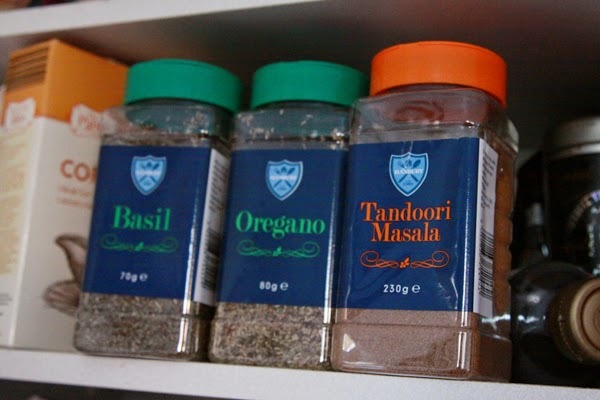 They are only £2.29 each for the basil and oregano, and the tandoori was £2.79. Perfect for whipping up a quick curry. The price on these is great, it's normally around £1 for one of the tiny jars, and these are massive! There was so much more I could have bought, or plan to go back and get at some point. It's really reasonably priced and perfect for people wanting to add their own touch to a first home like we are.